The EASY Pattern Making class for plus size boys and overweight boys contains 72 pages and is packed with information on how to take the child’s measurements and then using those personal measurements to make nearly every garment you’d want for the child. You’ll receive over 30 patterns for shorts, slacks, jeans, shirts, pullover tops, pajamas and jackets, plus information on how to change any of the patterns to make dozens of additional styles. This class covers the entire age range of 3-4 years through the pre-teen and early teen age years. This virtual downloadable class is ready for you to take at your convenience. The EASY Pattern Making class for plus size boys and overweight boys contains 72 pages and is packed with information on how to take the child’s measurements and then using those personal measurements to make nearly every garment you’d want for the child. 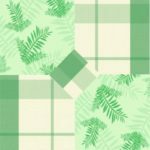 You’ll receive over 30 pattern designs for shorts, slacks, jeans, shirts, pullover tops, pajamas and jackets, plus information on how to change any of the patterns to make dozens of additional styles. This class covers the entire age range of 3-4 years through the pre-teen and early teen age years. 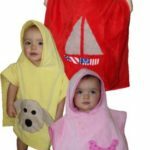 You can use any of the patterns for whatever age your child is, then simply make new “basic” patterns as the child grows, rather than having to go out and purchase all new “store bought” patterns for the various garment styles. 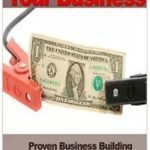 You could end up saving hundreds of dollars, plus knowing that every garment made following the EASY Pattern Making method that is guaranteed to fit those measurements.